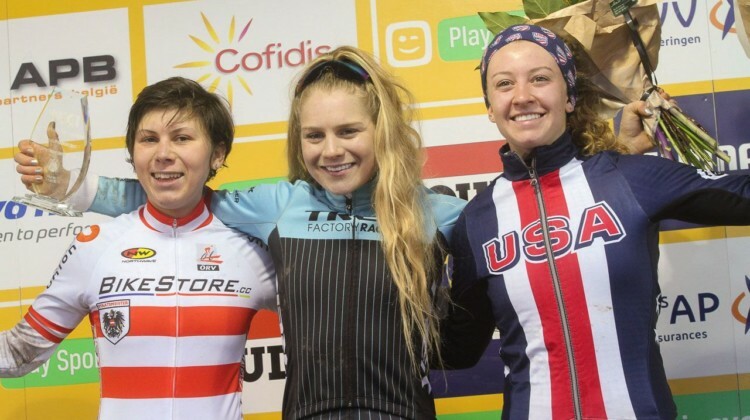 Colorado’s Madigan Munro finished 4th at U23 Nationals and made the U23 Women’s Worlds team in her first year racing cyclocross. We go inside her impressive year. Meredith Miller helped coach Team USA at the 2019 Bogense Cyclocross World Championships. 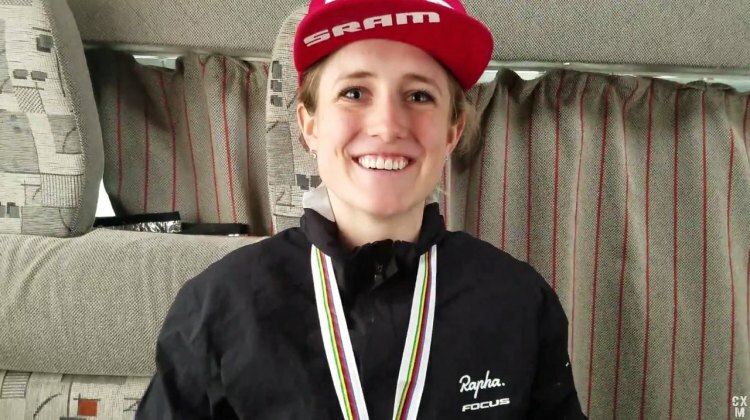 We chatted with her about working with the U23 Women’s team. 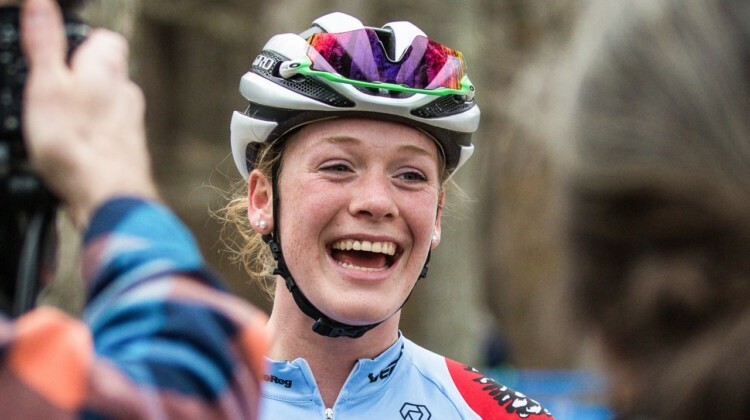 Inge van der Heijden sprinted to the 2019 U23 Women’s World Championship to lead an all-Dutch podium. Get the story from her exciting last-lap win. 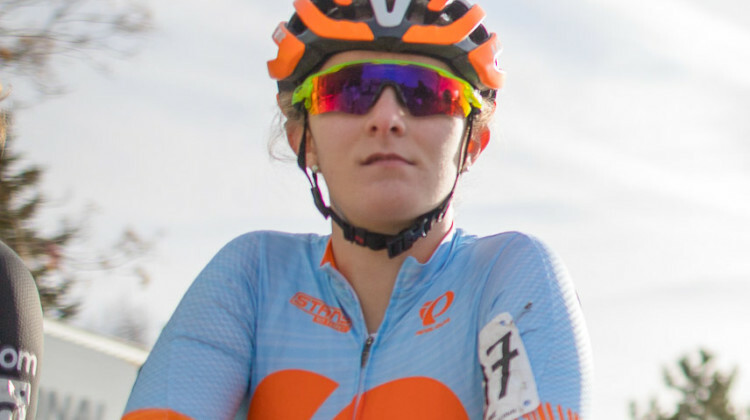 Clara Honsinger bridged to the final selection and finished 10th in the U23 Women’s race at the 2019 World Championships. We spoke with her after the race. 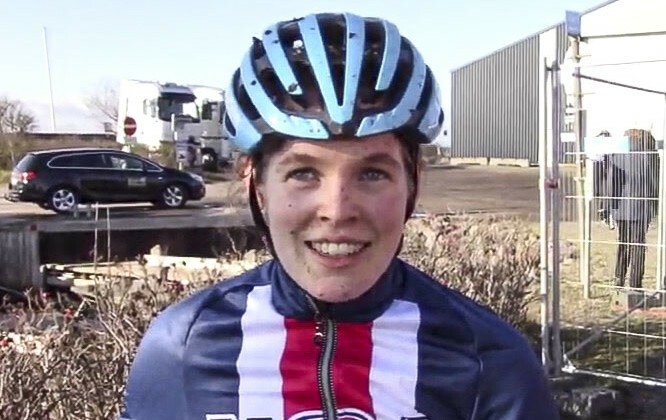 Katie Clouse made the final selection and finished 7th in the U23 Women’s race at the 2019 Cyclocross Worlds in Bogense. We chatted with her after the race. 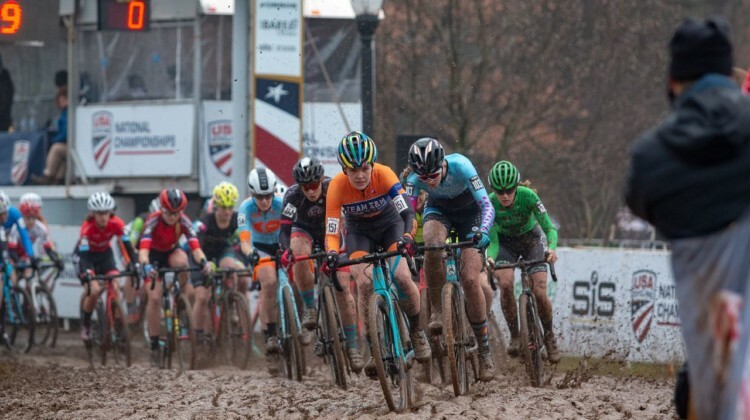 The U23 Women will kick off Sunday’s racing at the 2019 Cyclocross World Championships in Bogense, Denmark. Here’s the start list, with 9 North Americans taking the start. 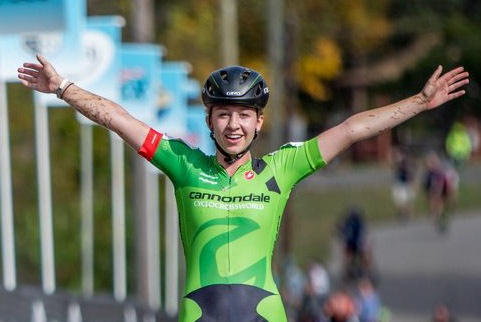 Clara Honsinger won the U23 Women and Katie Clouse the Junior Women title at the 2018 Louisville Cyclocross Nationals. Report and photos. 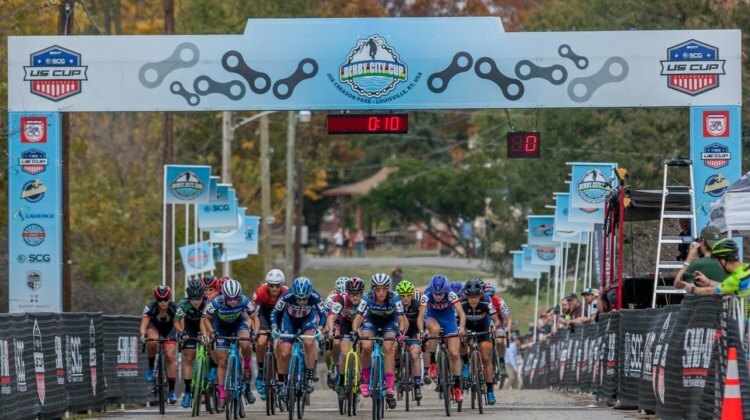 Clara Honsinger won the U23 Women’s race and Katie Clouse the Junior Women’s race at the 2018 Louisville Cyclocross Nationals. Full results. 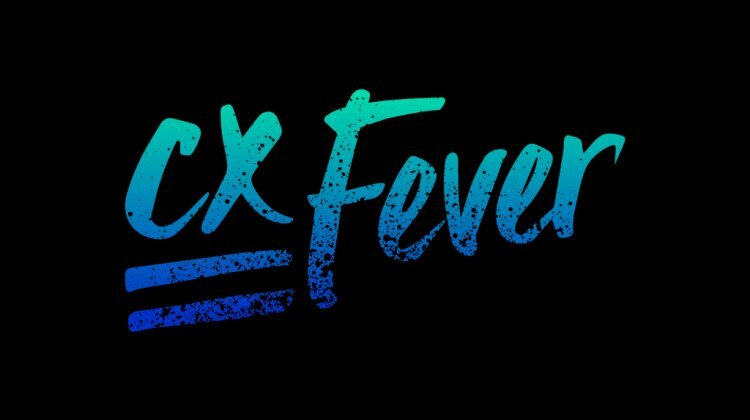 Charm City CX is offering U23 Women the chance for a free race entry and a raffle to support Women’s racing. Learn more about this unique opportunity. 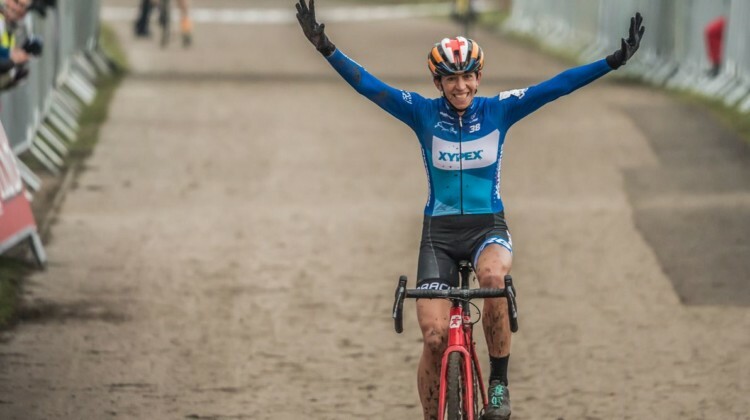 KK Santos has been inspired by the late Amy Dombroski during her Junior and U23 cyclocross career. 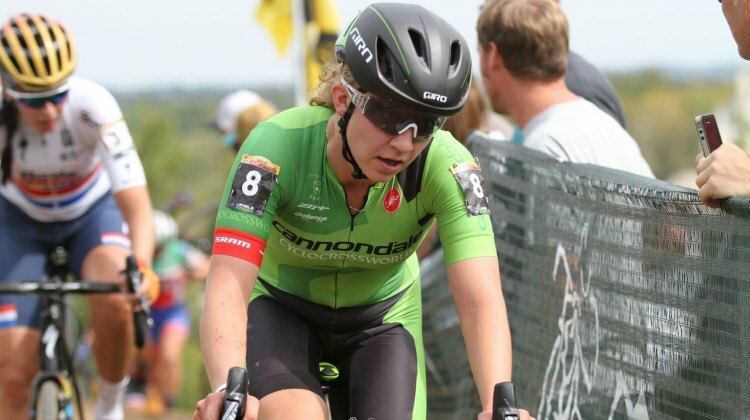 Learn more about her journey as a young female cyclist. 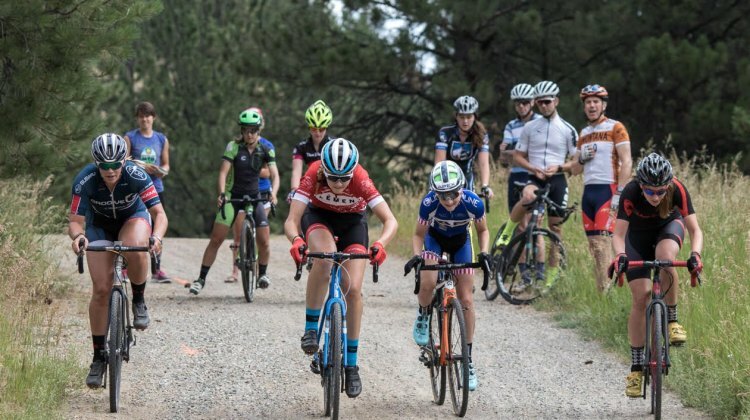 Young women cyclocross stars are in Helena, MT for the second Women’s MontanaCrossCamp run by coach Geoff Proctor. We have this year’s roster and more. 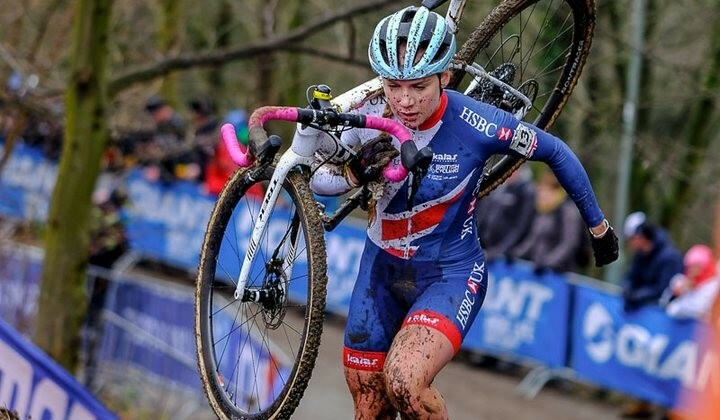 Britain’s Harriet Harnden had one of the surprise rides of the 2018 Cyclocross World Championships. Learn more about the young multidisciplinary star from Malvern. 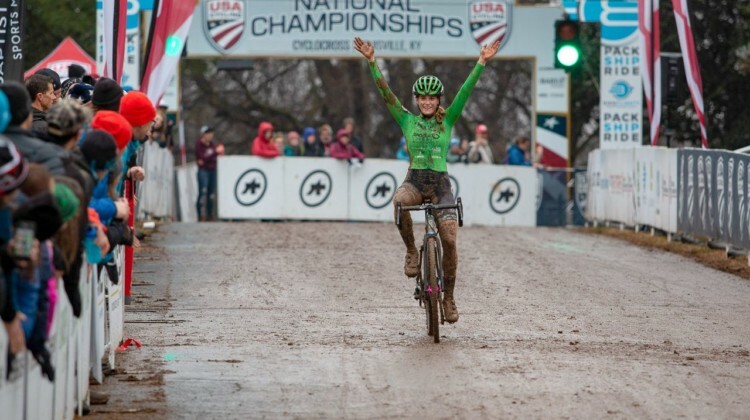 The 2018 U23 Women’s Cyclocross World Championships had a clear favorite, but anything can happen in the mud. Relive all the action with this full video replay. 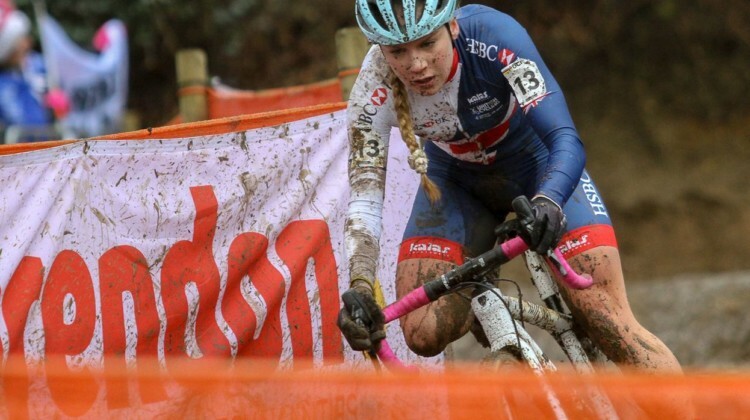 Evie Richards ran, descended and spun her way to reclaim the U23 Women’s title at the 2018 Cyclocross World Championships in Valkenburg-Limburg. 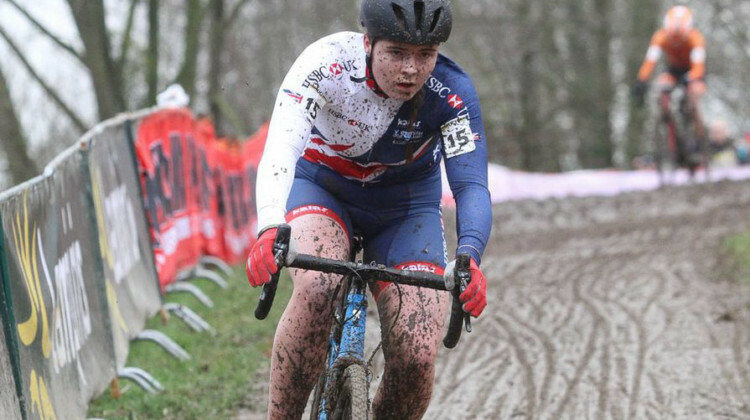 Make it two for two for the British on Saturday at the 2018 Cyclocross World Championships in Valkenburg-Limburg. See th full U23 Women’s results. 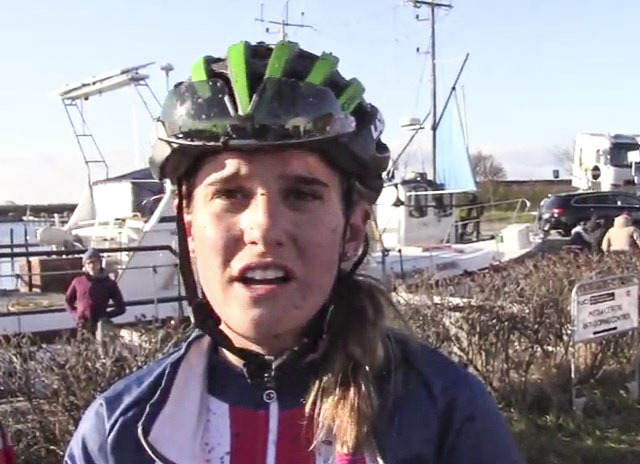 Saturday is the third edition of the U23 Women’s race at the Cyclocross World Championships. Find out who will be going for the rainbow stripes in 2018. 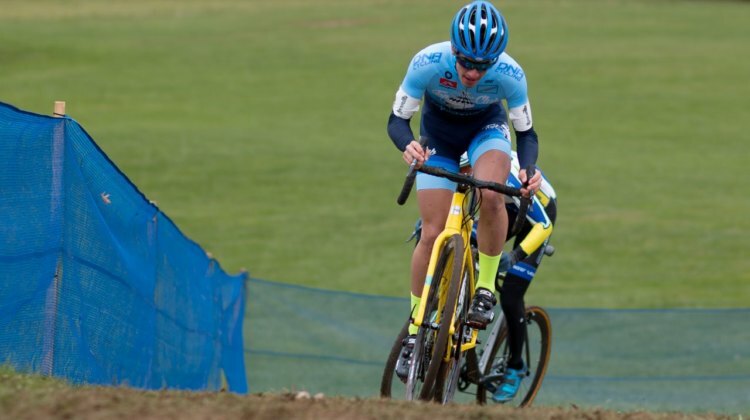 Crossresults founder Colin Reuter has crunched the numbers and made predictions for the Women’s U23 and Junior races at the 2018 Reno Nationals. Find out who to watch for on the live stream this Sunday. 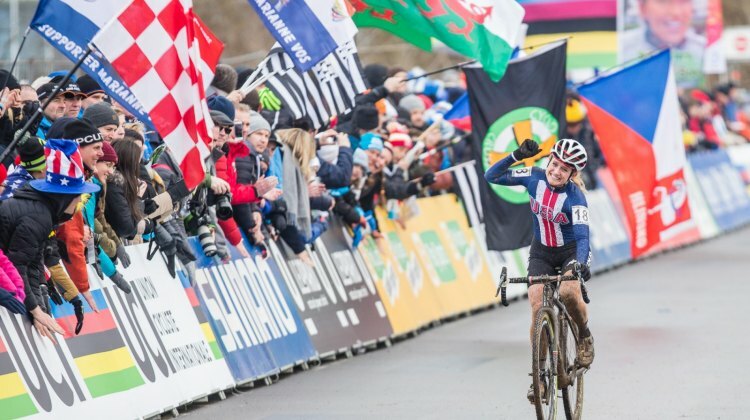 Ellen Noble achieved her Worlds podium goal with a second at the 2017 Cyclocross World Championships in Bieles, Luxembourg. We take a look back at her memorable race. 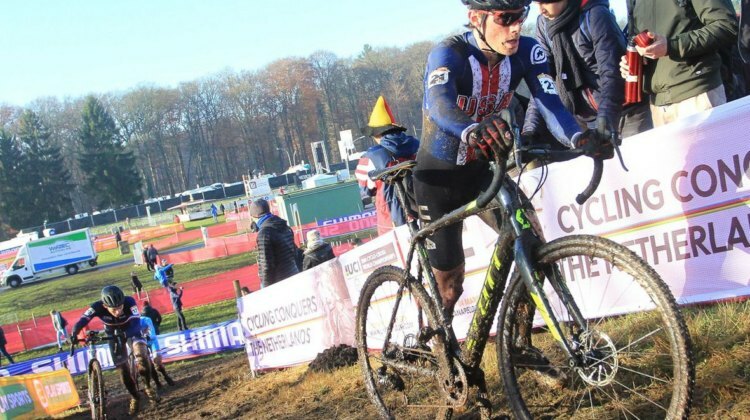 Scott Funstion and Clara Honsinger led the 10-rider U.S. EuroCrossCamp contingent at the 2017 Flandriencross. 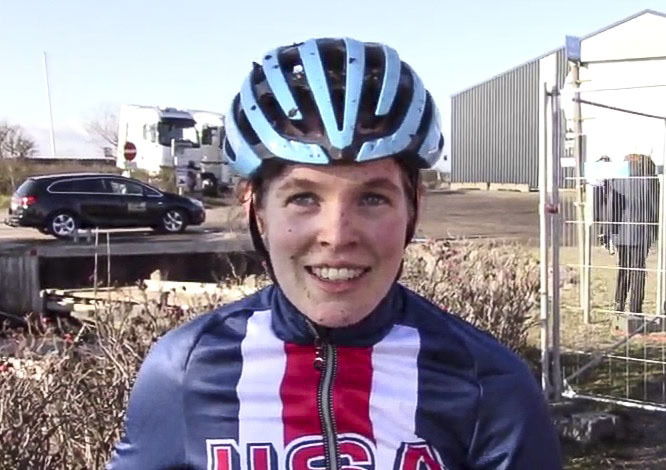 See how all U.S. riders did in full results from Hamme. Full start lists for the 2017 Zeven, Germany World Cup races are now available. A total of 20 Americans are scheduled to race. 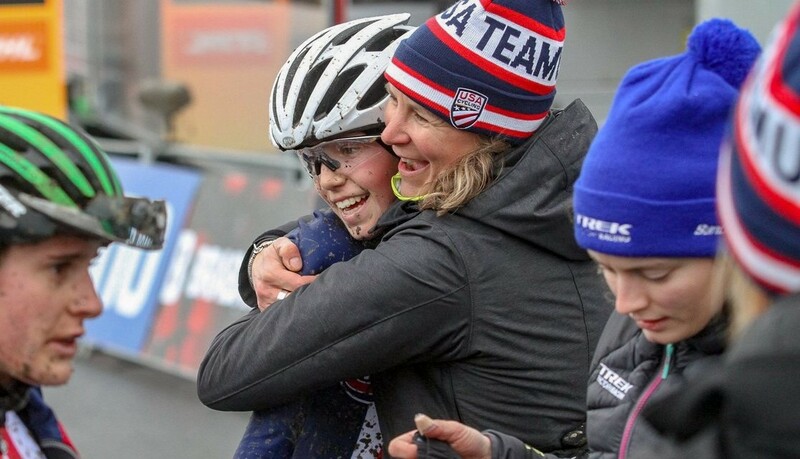 The young U.S. ‘cross stars in Europe for the November EuroCrossCamp had an impressive weekend in the Netherlands. We have a run-down of their results. 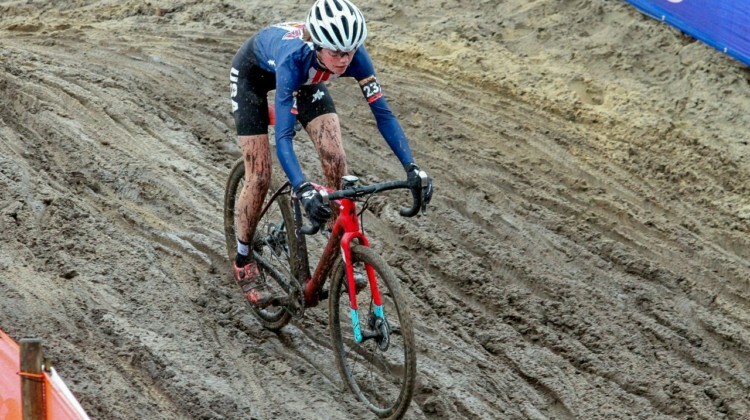 Geoff Proctor was recently selected as USA Cycling’s Cyclocross Performance Consultant. 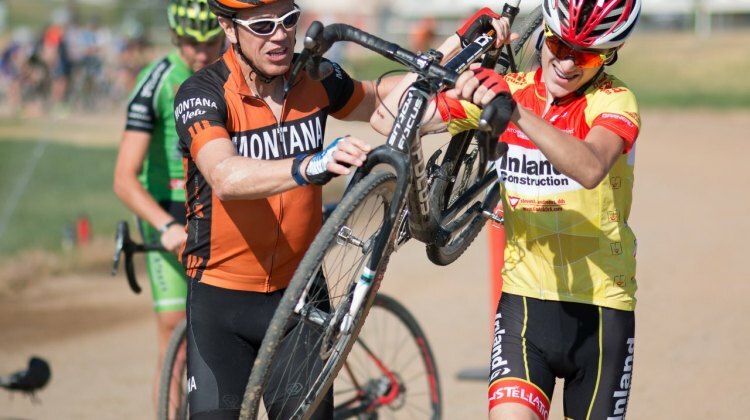 The position is a next step to his MontanaCross Camp and Euro training blocks involvement. 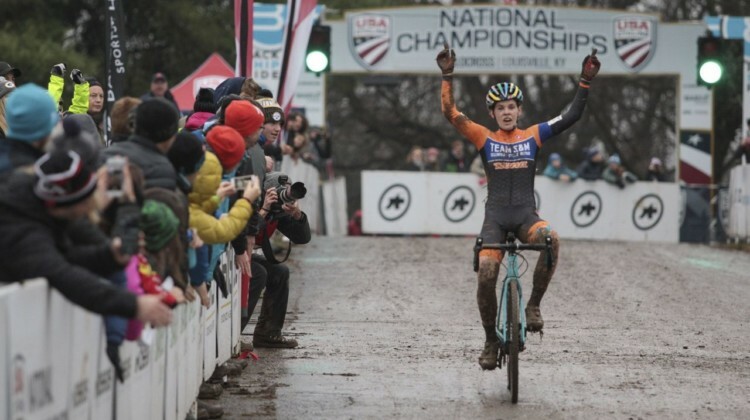 We spoke with him to learn more about the new position and ‘cross development in the U.S.
Emma White, Ben Gomez-Villafane and Gage Hecht took home 2017 Pan-American Championships in Louisville. Re-caps and interviews with the winners. The 2017 Pan-American Championships are in Louisville on Sunday. 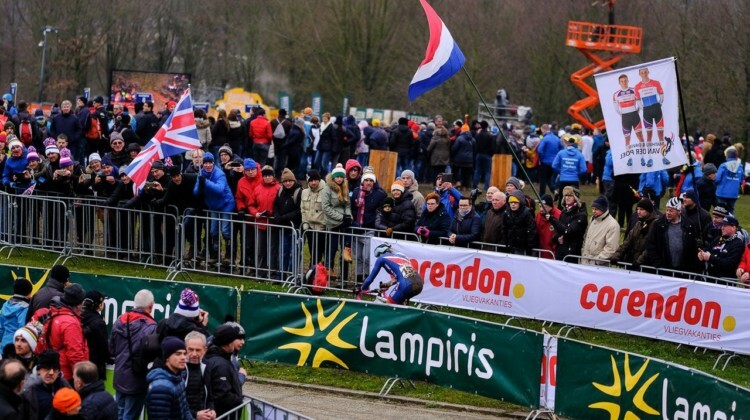 Start lists for the Junior Men, Women U23 and Men U23 races are now available. 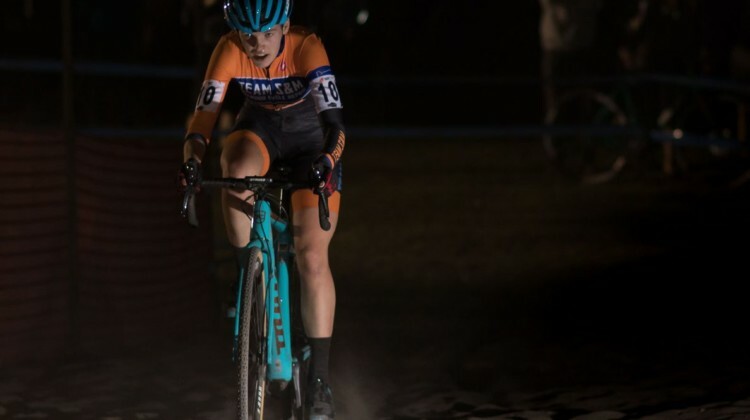 CXM spoke with Maghalie Rochette about her CX Fever Grant that will allow a woman aged 17-22 to be part of the Clif Pro Team for the Pan-Am Championships. 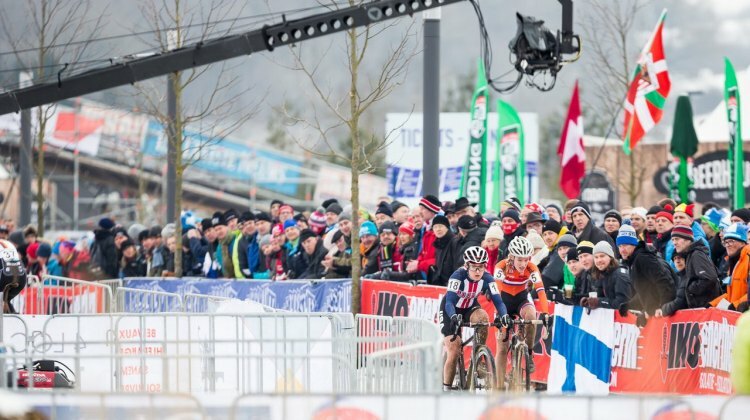 The 2017 Cyclocross World Championships’ second race, the U23 Women’s race, was a thriller with Dutch racer Annemarie Worst, American Ellen Noble and defending champ Brit Evie Richards trading attacks.